Another new year has begun and it’s time for adopting fresh perspectives and form new goals. 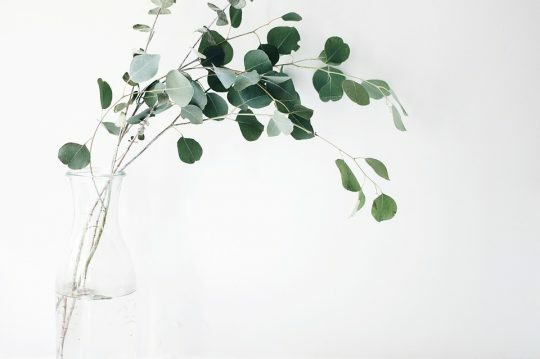 Starting this very moment as we click on the refresh button for 2019, here’s our lifestyle tip for the year that will bring a meaningful transformation in our lives…by adapting to Minimalism. “Minimalism is a tool to rid yourself of life’s excess in favour of focusing on what’s important—so you can find happiness, fulfilment, and freedom.” Joshua Fields Millburn & Ryan Nicodemus. Joshua and Ryan are the Founders of The Minimalists who are leading by example their minimalistic life. Minimalism is usually understood as giving up a large part of our possessions and choosing to live in a small house with less stuff. However, in actuality, it is about acquiring or possessing only the things we need and let go of the remaining. It means emptying the space occupied by the unnecessary stuff so that valuable remains; owning the material possessions that add value and meaning to one’s life. Once we begin to adapt to minimalism, we start realising that all this while, we have been hoarding stuff that we never require. Take a test here. Start de-cluttering your beloved wardrobe. Find every possession that you have not used in the last three to six months; there, lies your answer! “When I became a parent, I realised that I bought things for my kids that are not required out of habit. I had a pile of unnecessary things at home. Once I realised my pattern, I started giving those things to the ones who needed and started being a minimalist in every way I could. I can now vouch that Minimalism keeps you focused on what is necessary of your life. It saves time and unnecessary distraction. I feel this is the best thing one can practise as a parent and one of the most important aspects when you teach your kids about minimalism.” says Ekta Shah, a minimalist mommy blogger. The truth is since we have not been aware of our patterns; we have become secret hoarders of everything. When we choose minimalism consciously, we become aware of the difference between what is wanted and needed. This awareness prepares one for major shifts in life, in every way. De-cluttering the space around is the first and simpler step, to begin with, minimalism. Start cleaning up your cupboards, wardrobes, shoe racks, kitchen shelves and more. Take it slow and gradual. Look at the things you have been acquiring until now, don’t be tempted to avoid giving them away. It’s a part of the process that will lead to a better you in the future. Minimalism has great psychological benefits. When we start getting rid of the unnecessary, we realise the importance of having exactly what we need. Our minds are not preoccupied with all the unrequired stuff; rather focused on what needs attention. This saves us time and energy, as well as provides better avenues to invest them into. Did you know: Warren Buffet lives in the same house that he bought in 1958. Surely, being a millionaire didn’t harm his minimal lifestyle. One lesson and boon that all minimalists thank the process for giving them is – the joy of having. Minimalism helps us in finding what is worth having and why. This enriches our life and makes it purposeful and more meaningful. We all know that we don’t need more to be happy in life. With Minimalism, we can practise it as well. It sets us free from constant wanting, which is a fabulous place to be in, isn’t it? This year, let’s aim to be successful and develop a sense of freedom from acquiring. Adapt to the minimal way of life, clear the clouds and find the rainbow we always look for – a fulfilled life.